This study explores the association between retirement on an old-age pension and subjective economic well-being. The study starts by analyzing this association in general, and proceeds by distinguishing different retirement routes, measured with a preceding activity status. People with different labour market statuses generally enjoy different levels of income, and a transition to retirement might have adverse consequences for the subjective and objective economic well-being. The empirical analyses are based on the longitudinal component of the EU-SILC 2010–2013, including 26,680 individuals aged at least 55 years and 73,614 person years. The data is analyzed with individual linear fixed effect regression models and dummies for retirement transition and retirement routes. Results show that old-age retirement in general is associated with a slight decrease in subjective economic well-being. However, a more detailed exploration reveals that retirement clearly has adverse associations for people retiring from different labor market statuses. Those transitioning from work perceive a clear cutback in perceived income adequacy, whereas the effect is to a greater extent positive for those transitioning from unemployment, and to a lesser extent for those transitioning from other statuses. Results of the study add to the discussion on retirement and subjective well-being and that on age, income and financial satisfaction. Ahonen, K., Kuitto, K., & Palomäki, L.-M. (2017). Eläkeikäisten toimeentulo ja pienituloisuus eurooppalaisessa vertailussa. In S. Kuivalainen, J. Rantala, K. Ahonen, K. Kuitto, L-M. Palomäki (Eds. ), Eläkkeet ja eläkkeensaajien toimeentulo 1995–2015. Eläketurvakeskuksen tutkimuksia 1: Helsinki. Retrieved May 7, 2018 from https://www.etk.fi/julkaisu/elakkeet-ja-elakelaisten-toimeentulo-1995-2015/. Allison, P. (2009). Fixed effects regression models. Retrieved May 7, 2018 from http://methods.sagepub.com/book/fixed-effects-regression-models. Eurostat. (2015). Labour force survey statistics—Transition from work to retirement. Statistical article. Retrieved from http://ec.europa.eu/eurostat/statistics-explained/index.php/Labour_force_survey_statistics_-_transition_from_work_to_retirement. Accessed 2.1.2017. Eurostat. (2017). The EU-statistics on income and living conditions (EU-SILC) overview. Retrieved December 12, 2017 from http://ec.europa.eu/eurostat/web/income-and-living-conditions/overview. Hershey, D. A., Henkens, K., & van Dalen, H. P. (2009). What drives pension worries in Europe? A multilevel analysis. Netspar Discussion Paper No. 10/2009-055. https://ssrn.com/abstract=1573557 or http://dx.doi.org/10.2139/ssrn.1573557. Hurd, M. D., & Rohwedder, S. (2008). The retirement consumption puzzle: Actual spending change in panel data. NBER Working Paper Series, Vol. 13929. https://doi.org/10.3386/w13929. Kapteyn, A., Lee, J., & Zamarro, G. (2013). 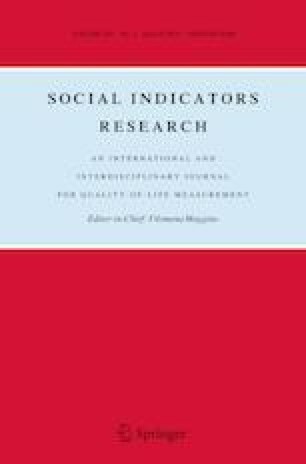 Does retirement induced through social security pension eligibility influence subjective well-being? A cross-country comparison. Michigan Retirement Research CenterResearch Paper No.2013-301. https://ssrn.com/abstract=2376883 or http://dx.doi.org/10.2139/ssrn.2376883. Stiglitz, J. E., Sen, A., & Fitoussi, J.-P. (2009). Report by the commission on the measurement of economic performance and social progress. Retrieved January 7, 2017 from http://library.bsl.org.au/jspui/bitstream/1/1267/1/Measurement_of_economic_performance_and_social_progress.pdf. Wunder, C. (2008). Adaptation to income over time: A weak point of subjective well-being. SOEPpaper No. 130. https://ssrn.com/abstract=1279423 or http://dx.doi.org/10.2139/ssrn.1279423.